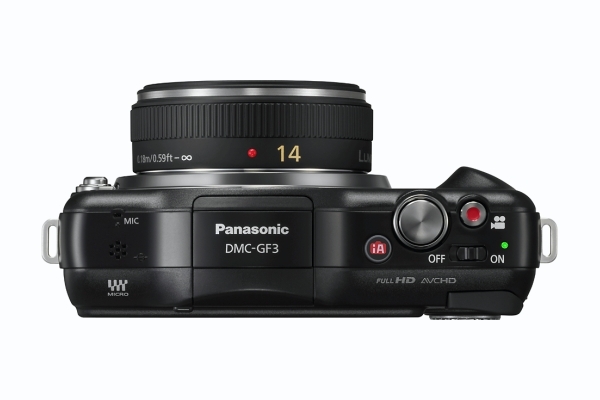 Panasonic today introduces its new, smallest and lightest digital interchangeable lens camera, the LUMIX DMC-GF3, which is approximately 16.7% smaller and 16.2% lighter than its predecessor, the Lumix GF2. 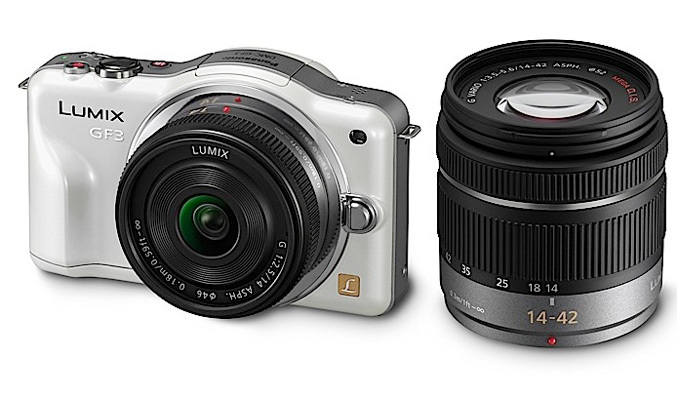 The new compact camera has aluminum body and weighs just 7.83oz. Based on the Micro Four Thirds System standard, the DMC-GF3 is equipped with 12.1-megapixel Live MOS sensor, a Venus Engine FHD image processor and a 3-inch (460k dot) touchscreen. 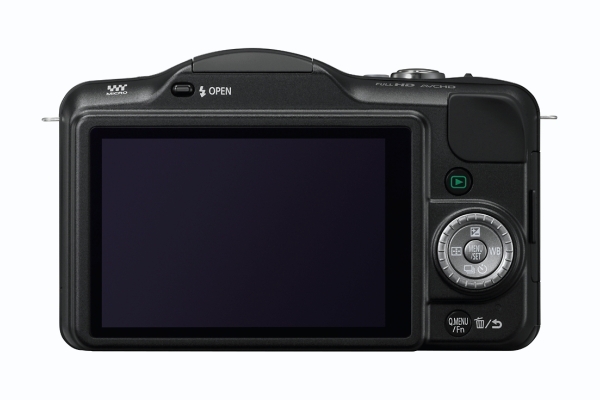 The camera has built-in pop-up flash, offers 1080/60i Full HD video and high-speed Contrast AF system that locks in approximately 0.18 seconds, plus also a Light Speed AF, which measures at approximately 0.1 seconds, achieved by reducing the detection time for focusing by doubling the sensors drive speed from 60 fps to 120 fps. 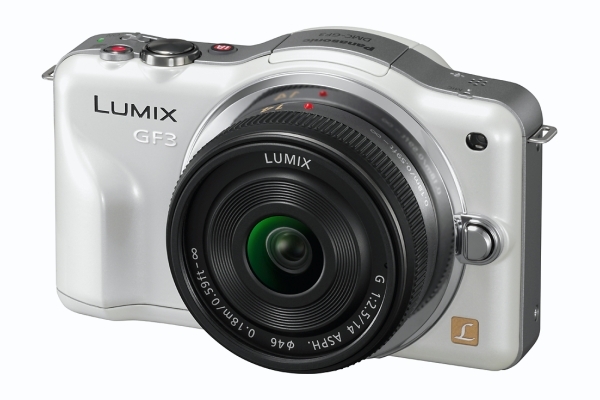 The Lumix DMC-GF3 also offers Pinpoint AF function, AF Tracking, ISO range of 160 to 6400, a Dust Reduction System, SD/SDHC/SDXC memory card support and plenty of modes and Effects. 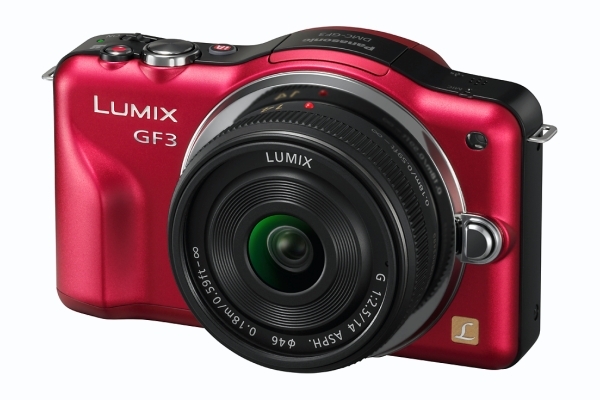 The Panasonic LUMIX GF3 will be available from July 2011 in black, white, red and brown bodies for a suggested retail prices of $699.99 with the 14mm lens kit system and $599.99 with the 14-42mm lens kit system starting in late August 2011.